For me, halloween has never really been about the costume, but more about the candy - as a kid, I loved the rush of running door to door seeing how much I could fit into my pillow case. We’d be out for what seemed like hours running and running and running - heading home only after the streets started to go quiet. I’d end up with pounds and pounds of the good stuff...dumped onto the living room floor, so that my parents could inspect it...now knowing that they wanted to just have their pick of the best. When I think back to our parents who were always a few steps behind, it occurs to me why they liked the holiday so much. It was more than just seeing their kids dressed up having a good time, it was a chance for them to be with friends and drink their spiked beverages from thermoses. Funny the things you missed as a kid, right? 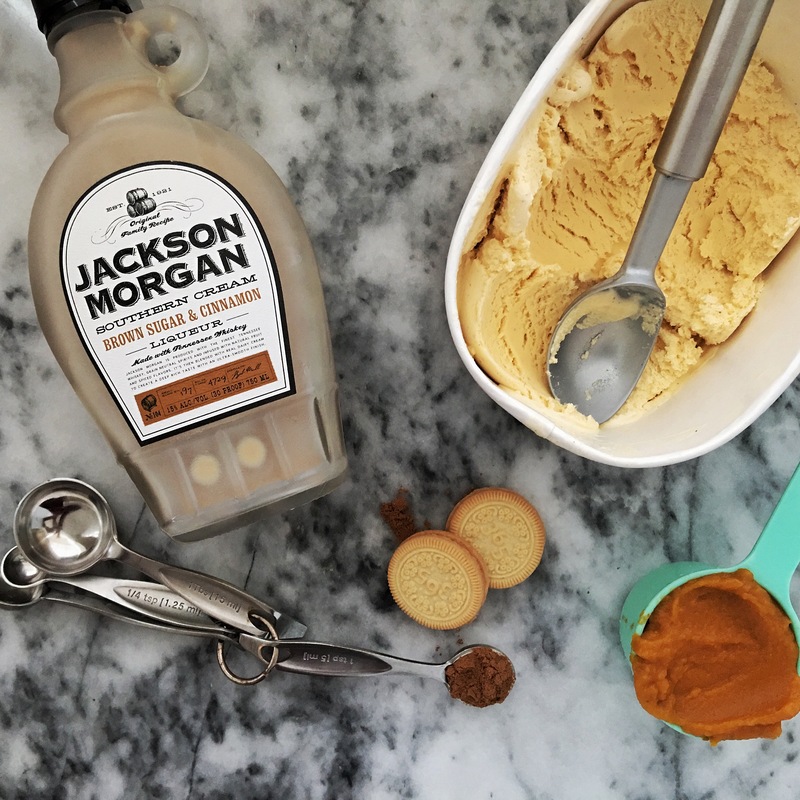 When asked to create a recipe for Jackson Morgan, my mind went immediately back to the adults of our neighborhood, discretely drinking their beverages while we ran. The Brown Sugar & Cinnamon Cream Liquor is warming and smooth - perfect for those chilly nights where you just want something that makes you feel completely immersed in the season; goblins, ghouls and all. 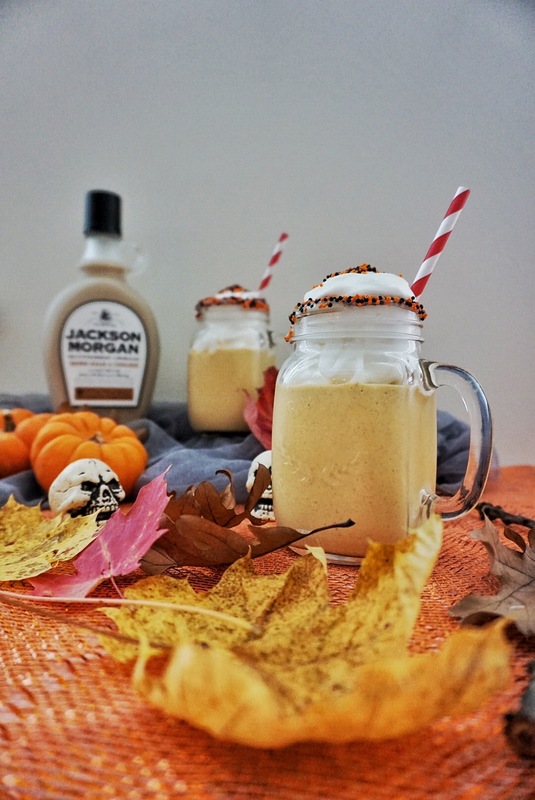 Because Jackson Morgan is an finely crafted Tennessee Whiskey Cream Liqueur, this cocktail recipe screamed milkshake. 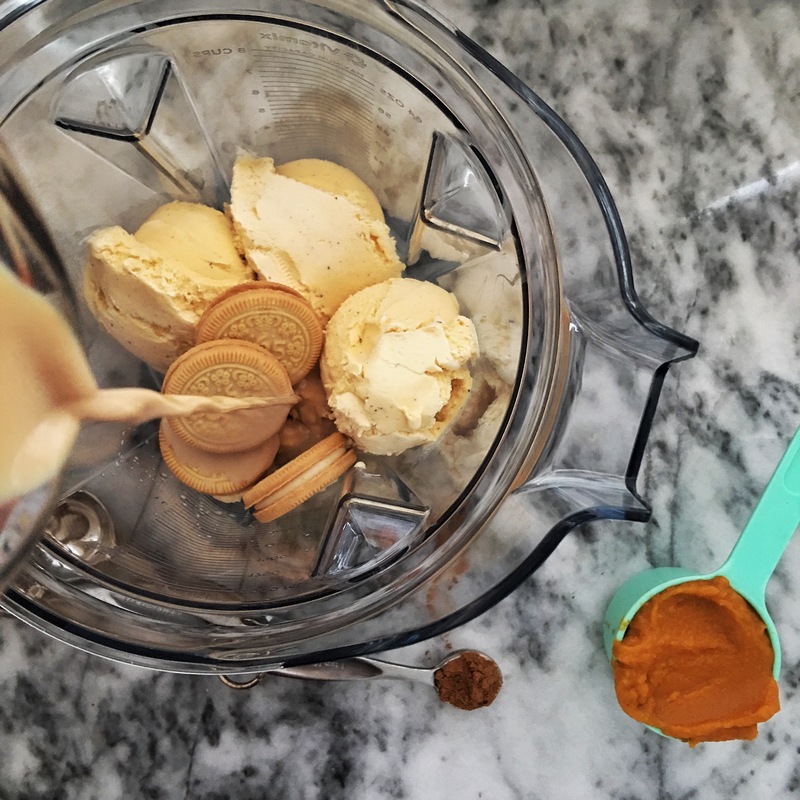 Not just any milkshake, but one loaded with bourbon,vanilla creme cookies, pumpkin pie spice, pumpkin puree and lots of vanilla ice cream. This party drink will be sure to be the hit of your next graveyard inspired Halloween party. This post sponsored by TheFeedFeed & Jackson Morgan, all opinions expressed are my own.